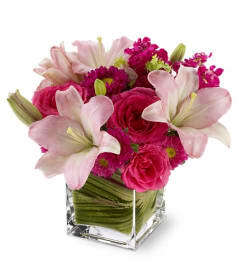 This Mother's Day, celebrate Mom with three glorious gifts in one! Includes a graceful, hand-glazed lavender ceramic keepsake vase, a decadently feminine bouquet of pink and lavender blooms and a shimmering, faceted glass butterfly charm on a delicate silver-plated chain. 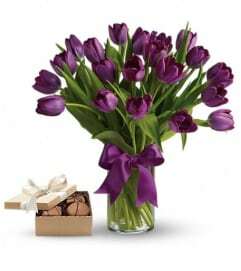 A great way to show her how much she is loved! 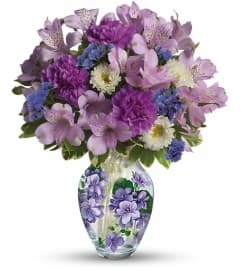 This beautiful bouquet blends hot pink roses, pink asiatic lilies, purple alstroemeria, purple carnations, purple button spray chrysanthemums and lavender sinuata statice with fresh green pittosporum and lemon leaf. 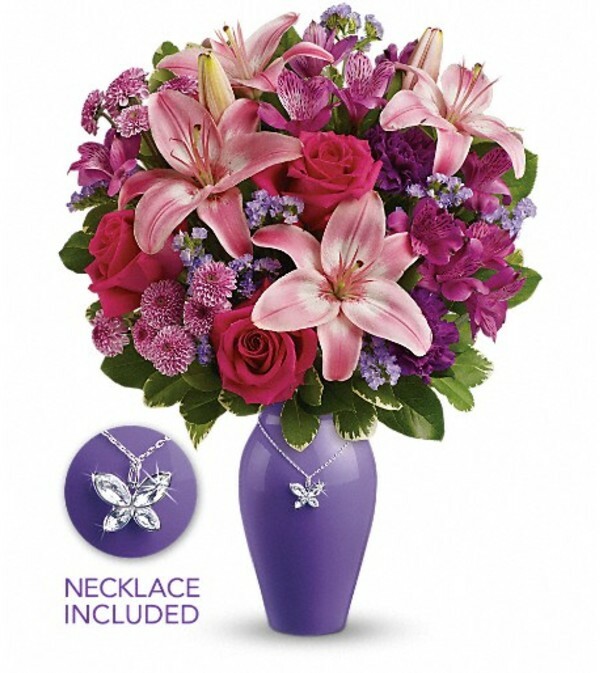 Delivered in a Beautiful Butterfly vase with butterfly charm and silver-plated chain.